Thank you for your interest in Type40c Stock Low Profile Belt Conveyor (Fast Delivery). We will be happy to discuss the pricing in more detail with you please fill in your details below and somebody will contcat you back with a quote. 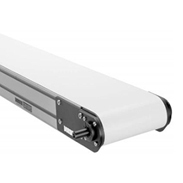 Alternatively please call us on 01772 690656 and please reference our part number - Type40c Stock Low Profile Belt Conveyor. Conveyors fitted with standard belt Includes 3ph motor gearbox with standard fixed speeds @ 50Hz of 9, 15, 20 or 25M/min to choose from. Conveyors marked above are not included in the quick delivery programme. Production time 2-3 weeks.